Numerous organisations in the public sector use Fabasoft eGov-Suite with great success - as tailor-made solutions, adapted exactly to their requirements and demands. 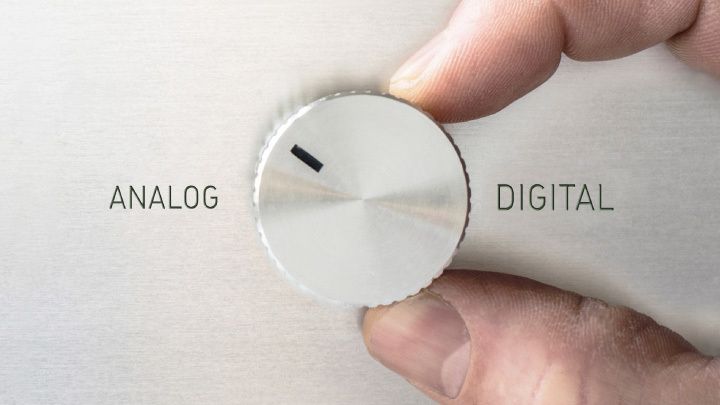 See for yourself, and learn more about projects realised with Fabasoft eGov-Suite solutions. By performing its tasks, the German Federal Office for Goods Transport (BAG) makes a considerable contribution toward ensuring traffic safety, fair charges and competitive equality on Germany's roads. The varied duties of the BAG include, for example, driving personnel law and road traffic law, heavy goods vehicles (HGV) toll and market monitoring, civil emergency precautions, statistics of the goods traffic and providing funding to companies doing HGV road haulage. The BAG has been using the Fabasoft eGov-Suite as a file processing system for the internal handling of funding applications already since April 2009. Employees of the Federal Railway Authority (EBA) have been working very successfully with Fabasoft eGov-Suite since 2003. With the implementation of the task and plan processing, the EBA developed a reference solution for other authorities in the subordinated divisions of the Federal Ministry of Transport, Building and Urban Affairs (BMVBS). Knowledge, know-how and solution components are also available for other government departments, optimize their business processes and develop new cost-reducing capabilities. The Bavarian State Police (the regional police force of the Free State of Bavaria) ranks among the largest police departments in Germany. As part of the modernization of administrative procedures the police also decided to modernize their file and workflow processing. The Bavarian State Police decided to take advantage of the existing Fabasoft eGov-Suite solution as its base software. 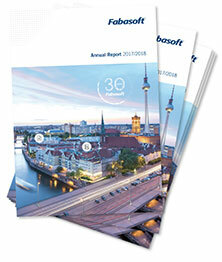 Solution adaptations and the integration of specialist applications were developed together with Fabasoft. Today more than 3,000 users work with the system. In the final stage a Bavaria-wide rollout with up to 30,000 police employees is planned. The Constitutional Court of Austria is located in Vienna, and is sometimes described as the guardian of the Constitution. The Court’s processes are highly complex, proceedings usually very comprehensive. With the aim of reducing the time it takes to handle the increasing number of proceedings, a decision was taken in the year 2010 to introduce ELAK light in the presidential area as a system for the processing of files. Applications will be processed electronically – from the registration of the application up until its archiving. In the year 2011, the Constitutional Court decided to extend the electronic file processing to the judicial area. Since 2003, the Chamber of Commerce (WKOÖ) and the Institute for Economic Promotion Upper Austria (WIFI) are working with Fabasoft products – for example in course management or at the customer service center – to be able to react quicker and better to requests. As a consequential further development, the WKOÖ and the WIFIOÖ decided 2008 to make basic services available online for members. The first services were available in mid-february 2010. These online services make it possible to access the core services of the WKOÖ and the WIFIOÖ even outside the regular service hours. The "ELAK im Bund" (federal electronic file management) project is considered to be the European showcase project in the implementation of e-government strategies. The federal ministries in Austria have been creating, managing and editing their files fully electronically since 2004. Fabasoft is the software provider and responsible for both product actualization and further product developments. Thanks to the introduction of ELAK the Austrian federal administration has been able to considerably improve its service performance. The inspection and exchange of correspondence between departments now takes place to a large extent electronically. The municipality of Linz and Fabasoft are currently working on a project designed to support the tasks of the archive of Linz. As part of the project, the archive’s data is being transferred automatically from the ELAK-system (electronic file) to the archive information system. The ELAK was implemented based on Fabasoft eGov-Suite. The second essential point of the project is the migration of the existing archive information system Romulus to the standard software Fabasoft iArchive for long-term storage. Altogether, the archive of the city of Linz holds more than two million individual items. Vienna’s City Council has the standard electronic file (ELAK) based on Fabasoft eGov-Suite in use. New essential conditions had to be created to fulfil the criteria and the new legal requirements set as part of Austria’s eGovernment strategy and the implementation of the EU Services Directive. In addition to the change to an open source solution, the rollout included dual delivery, electronic signature and the installation of a full-text search with Fabasoft Mindbreeze Enterprise. Vienna City Council has thus created the basis for the necessary eGovernment functionalities and additionally a highly scalable software architecture. The Province of Lower Austria considered it necessary to implement a modern, area-wide file processing system for their daily work. The launch of the ELAK (Electronic File) in 2001 was a significant milestone in increasing efficiency. Based on the Fabasoft eGov-Suite software 120 implementation projects were completed by the project teams of the Province of Lower Austria and Fabasoft. Some 5,500 users work with Fabasoft eGov-Suite in Lower Austria. The Department for Housing Grants at the Office of the Upper Austrian Provincial Government processes about 50,000 applications per year. Case-based information requests was often only possible by return call after retrieval of the file or a lengthy waiting time. The sought after a solution was to improve the efficiency in processing applications, reduce throughput time and enable access to ad-hoc information regardless of location. Based on the existing Fabasoft eGov-Suite solution an inte-gration of the specialist application was developed, enabling immediate infor-mation to be provided as fast as possible and shortening the cycle time. The Office of the Styrian Provincial Government had been looking for ways to improve the organisation of their government meetings. In the respective procurement procedures, Fabasoft was awarded the contract to realise the requested business application “Elektronische Abwicklung von Regierungssitzungen (ERS)”. The business application will be integrated into the existing electronic filing system (ELAK). In this way, it will be possible to create government proposals directly from within ELAK. The Austrian Asylum Court has the task of examining the legal compliance and appropriate implementation of applicable rulings concerning official administrative actions in first instance asylum proceedings (rulings by the Federal Asylum Office) and began its work on 1 July 2008. Some 23,000 open cases were taken on from the previous organisation with the aim of processing them cost-effectively and quickly. Around 10,000 new cases have to be dealt with every year. By changing over to ELAK light, total operating costs have decreased although there are now more users working with it. Fewer instances at the Asylum Court mean higher quality in administration. The Austrian Justice Support Agency (JBA) assumes responsibility for human resources provision for the Austrian Federal Justice Ministry. Due to the growing range of tasks, changes in the organisation and file management were necessary. The JBA decided in favor of an „ELAK light“ solution based on Fabasoft eGov-Suite for their file and business process management. In this version of the ELAK, main functionalities are provided in an adapted user interface. Furthermore, a trackable file and document exchange was made possible via a specific work flow, between the central office and those organisations that are connected via ELAK or ELAK light. On 23 January 2008, the Swiss Federal Council adopted the plan of action for the handling of electronic data and documents (project GEVER BUND). To fulfill the mission of the Swiss Federal Council by implementing the electronic business management (GEVER) within the organization by the end of 2010, the Federal Chancellery had specified the project organization – GEVER BK – by the end of 2008. On 22 November 2010, the Federal Chancellery successfully put the Fabasoft eGov-Suite to productive use throughout. The FDJP decided to return its existing GEVER-Fabasoft project solution (IDM solution) to the standard. The release and update capability of the GEVER-Fabasoft solution “Bund” is ensured by the product manufacturer. Today administrative processes at the FDJP can also be handled between agencies and with seamless media exchange. The Federal Strategy Unit for IT (FSUIT) was confronted with the task of defining a functional approach for request and performance features for a unified software platform for the public administration sector back in 1999. Fabasoft eGov-Suite was chosen via WTO tender and licensed for more than 6,000 users on the federal level. The agreement also makes it possible to obtain Fabasoft eGov Suite in the cantons and municipalities under defined terms. In Thurgau documents and dossiers were stored using a ten-year-old system which had not been updated. The aim was to adopt a new system which would administer the documents in a comprehensible and process-oriented way, thereby preventing a loss of information. In April 2006 the GEVER standard product Fabasoft eGov-Suite was implemented. With the definite allocation of all documents to certain dossiers and their process oriented delivery, an office wide, comprehensible and time-saving search process was created. The European Data Protection Supervisor (EDPS) is the European Union’s independent data protection authority. It monitors and oversees the protection of personal data and privacy when EU institutions and bodies process the personal information of individuals. In order to address all these requirements, EDPS management decided to introduce a modern electronic records and case management system and the institution finally opted for a solution provided by Fabasoft, offering a customised records and case management system on the basis of the product Fabasoft Folio, with the assurance of meeting high-level security requirements.